Pokémon Sun and Moon comes out this month, and is sure to be a massive seller for Nintendo and The Pokémon Company. 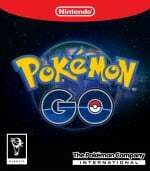 Any new mainline release in this popular series is assured bumper sales of course, but this time around the hype machine has been sent into overdrive by the release of Pokémon GO on smartphones this year. This free-to-play title - developed by Niantic - has smashed records and (re)connected millions of people with the series, swelling the fanbase considerably in quite a short space of time. Nintendo is acknowledging the good work done by the smartphone app in raising awareness by featuring Pokémon GO quite heavily in its latest Sun and Moon TV spots. The commercials also promote the numerous Pokémon Centers located around Japan, and do a fine job of communicating the link between the record-breaking smartphone game and the latest mainline console release. Perhaps this connection will encourage a few more lapsed fans to dust off their 3DS systems and purchase the game? Let us know your thoughts with a comment. As a Pokémon Go player, I think it's more likely to demonstrate how little Niantic care about their players compared to Gamefreak. Can't wait for Sun & Moon though! I'd like a Pokémon Centre near my town please. @Fandabidozi me too! That would be so cool. @Fandabidozi just one Pokemon Center on my continent, will do! @samuelvictor There's not much else of a link, really. The advert just shows a kid playing Pokémon GO on various Japanese locations that try to relate to locations in the Pokémon world (especially Kanto where he catches Meowth). Then shows how the Pokémon looks in Alola, opposed to Kanto-Meowth. Then it moves on to name all Pokémon Center stores in Japan, pulls the same trick, and that's it. It's clearly aimed at the general public who know about GO and not so much about the Pokémon world and such. @Slaz OK cool, thanks for the explanation, I guess that makes sense. I was hoping perhaps somehow we could link our accounts and transfer Pokemon between the games etc. but I knew that was unlikely! @Slaz There are more Pokémon Centers in Japan than those. Whoa. Those Pokemon Centers are huge! @Interneto There are? I was assuming they just called all of them in their own ad.Thanks for the info, I'll try and look into the list of Pokémon Centers sometime. I was just joking. I find it very hard to imagine that people who are hooked on free to play games are willing to pay big amounts of money for "real" games. I just don't see it happening. @Henmii There was a surge in sales of 3DS and older Pokémon games when Go came out so you don't even need to use imagination! Maybe you have it reversed. Turns out plenty of people who pay upfront to play on dedicated gaming machines also have smartphones and play those games too. Not exactly mutually exclusive. If you are simply saying that many casual mobile game players are going to balk at paying upfront money for games, of course that's true. But, there are plenty in the middle ground as we have ample evidence to suggest.